Everything’s the same and everything is different in this month’s Bad Language. As many will already be aware, March 26th will see Bad Language welcome a new host in Fat Roland, but the night will continue to be the same high quality mix of open-mic and established performers. 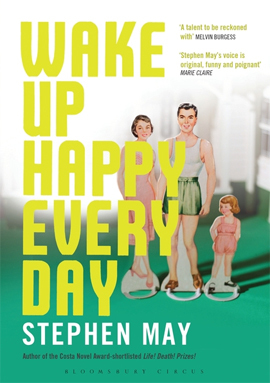 This month sees Stephen May headlining, following the release of his third book, ‘Wake Up Happy Every Day‘ and he will be joined by new and old faces to Bad Language. Open-mic line-up is below. Stephen is a novelist, playwright and TV writer. His previous novel Life! Death! Prizes! was shortlisted for the Costa Novel Award and the Guardian Not The Booker Prize, while his first novel TAG was longlisted for Welsh Book of the Year and was a Media Wales Readers’ Prize winner. That’s 26th March, 19:30, Castle Hotel, FREE!